Things are somewhat quiet here at the JSAs as we regroup after a busy couple of months prepping for last month’s awards. However, con season never seems to end, and we apologize to the Saskatchewan Entertainment Expo who held their event last weekend for not mentioning the event beforehand on the site. However, on September 28-29 it’s the return of the Edmonton Entertainment Expo and it also looks to be a great convention. The week after that Hamilton gets the spotlight with the debut of the new Hammer Town Comic Con on Saturday, October 5th. We barely scratched the surface of the story back in late August, but Hobbystar Marketing, Inc. – the company that puts on Fan Expo Canada, Fan Expo Vancouver and the Toronto ComiCON — was purchased earlier this summer by Informa Exhibitions, an English/Swiss Company that puts on events all around the world. It is literally one of the world’s powerhouse event organizers, with a history of putting on events that goes as far back as 1880 with the launch of IPEX, the oldest running print exhibition in London. The purchase has raised many questions, but the word for now is that it means business as usual for Canada’s largest comics-related event as the existing management is being absorbed into the Informa structure (here in Ontario they put on the One of a Kind Craft Shows so they have experience running events locally as well, so the old HSM team will be sharing their experience with others and learning from them as well). The Informa influence in this year’s show seems to have been more money for guests to help launch the expansion of the Expo into the entire Metro Toronto Convention Centre and the new Fan Expo Sports. Since they bought a brand, don’t expect them to change the name — chances are you may end up seeing the addition of more Fan Expo events in different locations around the world in the coming years. 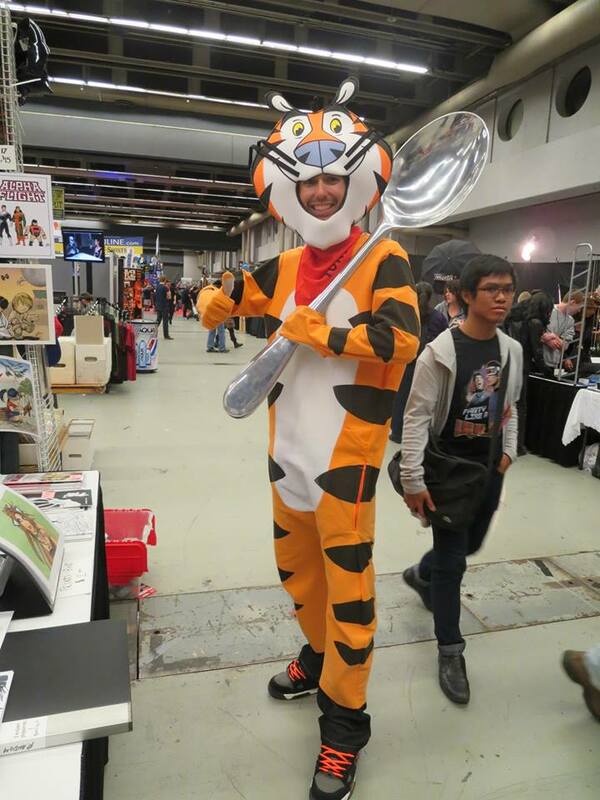 The buzz on the floor of the Montreal ComicCon last weekend seemed to be that other people are looking at Toronto as a potential site for new comic cons. One exhibitor seemed to hint that a new player was coming to town, one with 10 years+ experience organizing comic shows (Reed Exhibitions perhaps? ), or maybe Wizard is planning on reviving their dormant Wizard World Toronto (one artist I spoke to seemed convinced that was the case). It’s also been suggested that at least two* different GTA stores (one central, one west end) are looking at starting their own conventions, so who knows what the future holds. One event that was announced for 2014 that seems to be under construction is the new GTA Comic Con, which was supposed to debut next April in Oakville, ON. The website says that the dates and location are now changing, so we’ll let people know when we hear anything new. That’s the fall update on the world of comic cons, there are some pretty high profile events comic up in November (HalCon, The Central Canada Comic Con, along with a new December event in Ottawa), we’ll be running stories on those when we get a little closer to their dates. Needless to say, Comic book conventions and pop culture fairs are now big business and attracting a lot of interest. The big ones get bigger, and the fascination with them and the massive success of the big events (like San Diego, Seattle, Calgary, Toronto, Chicago and New York) will seem attractive to new investors, players and outside money. Will the bubble grow or burst? Only time will tell. This entry was posted in Conventions, General Announcements by Kevin A. Boyd. Bookmark the permalink.